Kanye West and Kim Kardashian West‘s third child and second daughter has arrived via surrogate, Kardashian West shared via her website Tuesday. Kim Kardashian West and her husband Kanye West welcomed their third child together, a daughter, born on Monday, Jan. 15, at 12:47 a.m. According to a post on Kim’s website, the baby weighed 7 lbs., 6 oz. The new addition joins big brother 2-year old Saint and almost 5-year old North. 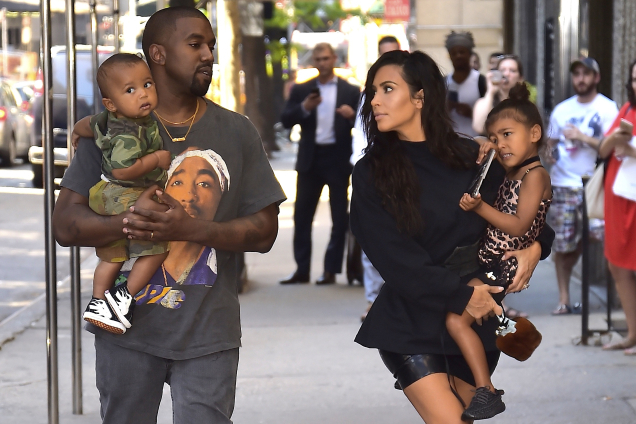 “North and Saint are especially thrilled to welcome their baby sister,” the business mogul and reality TV star said. « Your Complete Guide to Thrifting and Upcyling Like a BOSS!